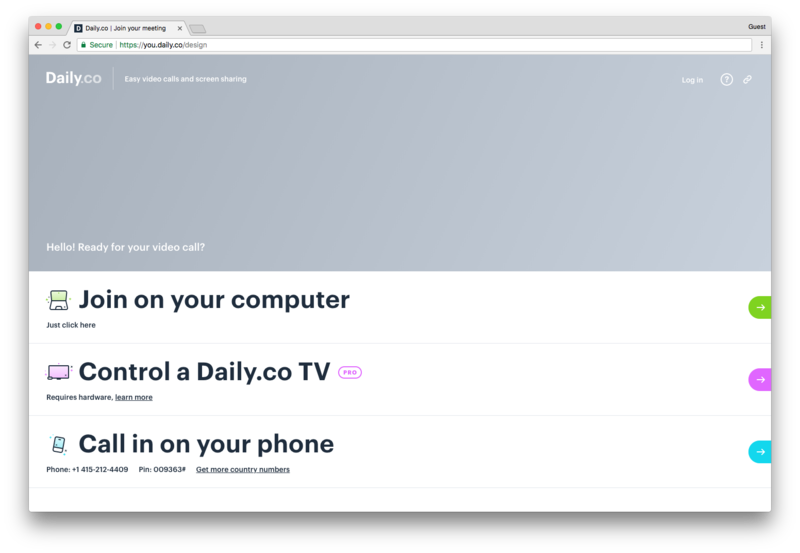 With a Daily.co TV system, you can join calls on a TV, with quick clicks. Up on your TV, in the lower right, is a 6-letter screen code. If the TV is not already in a call, you see this. Done. Your TV will say Connecting to your meeting. Your call will be on your screen in a few seconds. 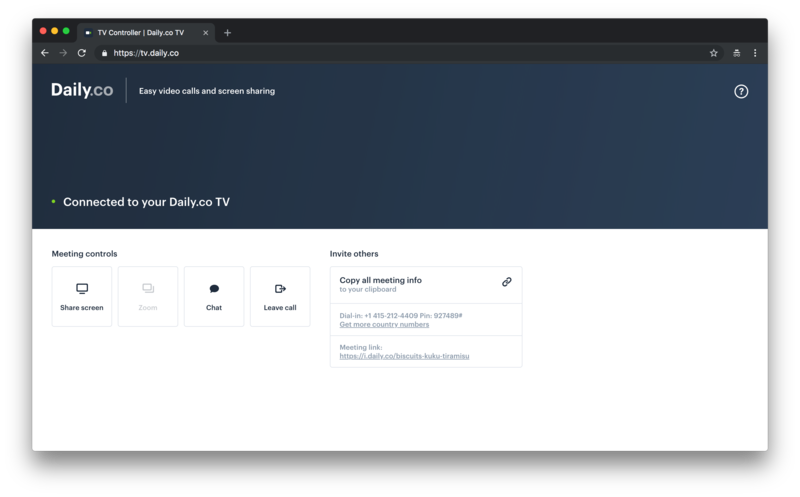 You can walk up to the TV and it can create a link for you, on the fly. Enter the screen code that's up on your TV. It's the 6-letters, in the bottom right. Your TV shows a screen code. It's 6-letters in the bottom right. If your TV isn't in a call, here's what it looks like. 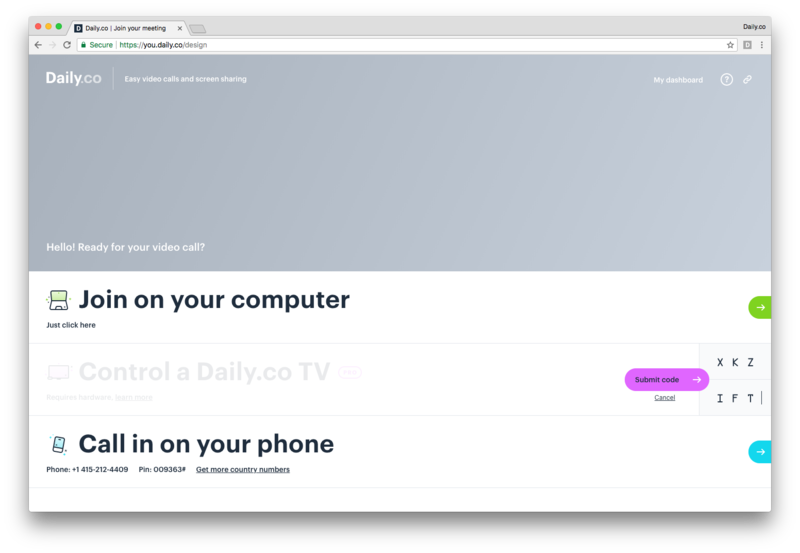 Now, on your computer, you'll see a page that lets you control the TV. 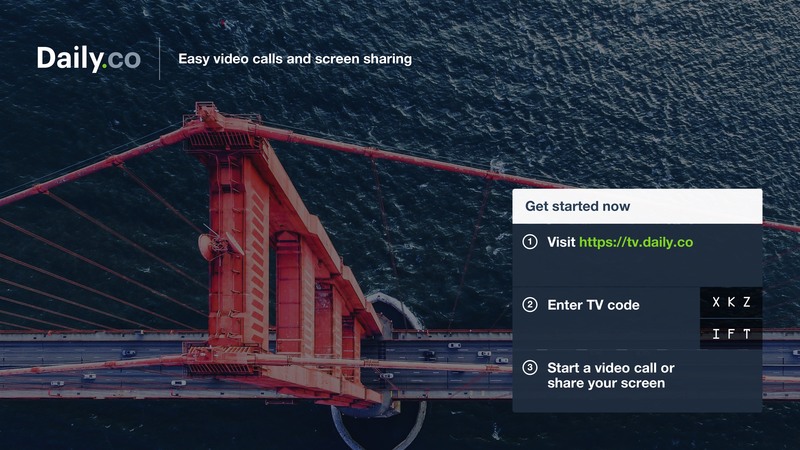 Or, if your TV already is in a portal, or a video call, tell it to leave its current call. And then click Start a video call. The TV automatically creates a link, and joins it. You then can click Copy meeting info, to get details to share with other guests. 👉 ALWAYS-ON CUSTOMERS - remember to click Leave call, when you're done! You don't have to do anything else. Once you exit, your box loads the portal again.